Blocked drains are one of the most common household problems and something that cost homeowners hundreds of pounds every year. However, they can be so easily prevented by keeping your plugholes clear of hair, soap, and other debris through regular cleaning. There are many different ways to keep the plugholes in your home clean and we’ve listed the best tips and tricks. We’ve said it before and we’ll say it again, prevention is always better than cure. It’s likely you lead a very busy life and when it comes to thinking about the health of your drains or whether your plughole needs cleaning, it’s probably not at the top of your to-do list. If this is the case, placing a protective screen over your plugholes in the shower, bath, kitchen, and bathroom can be a real time-saver. Protective screens protect your drains from blockages, catching all of the hair, dirt, and debris rather than allowing it to be washed into your drain pipes. If the protective screen does it’s job right, you should be able to throw away the debris it has collected, give it a clean, and replace it so that it can keep on working. Drain protectors come in a variety of shapes and sizes. What’s more, they are delightyfully easy to get hold of – you should be able to find plastic and metal drain covers in your local supermarket or hardware store. 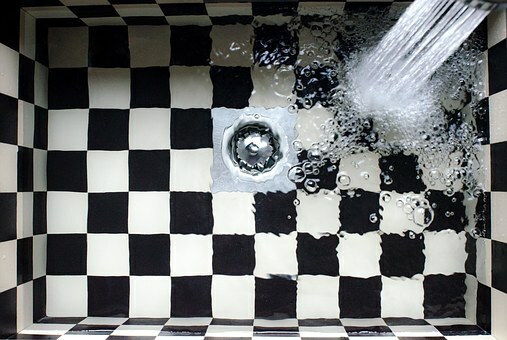 If you want an easy solution that helps keep your plughole clean and clear of debris, protective screens or drain covers are an ideal investment for you. To keep your plughole clean and sparkling, clean it once a week with a commercial cleaner. Keeping the sinks, showers, and baths in your home clean is a great way to prevent the build-up of hair and grime around the plughole. What’s more, it also helps prevent blockages from forming in the pipes. Of course, it’s completely your choice whether you use chemical cleaners or eco-friendly products, both are just as effective. You’ve just got to be deligent and cleaning your bathroom on a regular basis can really make a big difference. This point depends entirely on how much you mind getting a little bit messy. While clearing the plughole out yourself won’t necessarily create a mess, it does involve pulling out the hair and grime with a (preferably gloved) hand. Some people do not like this method, while others like to clear out their plugholes as soon as they notice hair building up. While clearing the plughole out manually is not for everyone, it is very effective and can help you keep on top of blockages. It’s your choice, but cleaning the plughole out yourself is a very effective solution. Calling a drainage professional in to sort out a blocked drain can be a real hassle, not to mention quite a lot of money! So, if you want to avoid it you’d better start putting some of these prevention methods in place. A very good method for keeping your plughole clean is to wash it through with boiling water after each use. Of course in a room such as the bathroom, clearing out the pipes may be a bit excessive after every use, so try washing out the plugholes at the end of each day instead. Boiling water every day does a great job at washing grime away from your plughole and clearing any dirt or debris that has been collecting throughout the day. This helps prevent blockages and keeps your plughole cleaner for longer. What’s more, it prevents the likelihood of debris build-up in the pipes and as a result reduces blockages. Some plugholes can be very small and get dirt build-up caught up in them easily. For small plugholes, using tweezers can be very effective as they are small enough to reach in and pull out hair, soap pieces, and anything else that has become trapped around your plughole. It’s a delicate job but is widely accepted as one of the fastest and most effective plughole cleaning methods. So, if you haven’t already, give it a try! Plungers have always been extremely effective methods of clearing blockages and debris build-up around plugholes. To use a plunger effectively, make sure you create a full seal around the plug hole and pump the plunger up and down thoroughly to force the blockages to the surface. Once they visible, the build-up of hair and debris can easily be removed and the plughole thoroughly cleaned. A must-have for anyone, bicarbonate of soda and vinegar make for an excellent cleaning solution as the combination bubbles and fizzes, effectively dissolving hair and grime around the plughole and in the pipes. To create the right cleaning solution, simply mix a 1/3 cup of vinegar with a 1/3 cup of bicarbonate of soda and pour the solution down the plughole. Bicarbonate of soda and vinegar solution does not only clean your drains, but it also leaves your drains smelling clean and fresh. Regularly cleaning and maintaining the plugholes in your home is one of the most effective ways to reduce the likelihood of blockages. Aim to clean your plugholes once a week to ensure that plugholes remain free from hair, dirt and grime build-up.